I – Art for Art's Sake! Charles Cromwell Ingham was an Irish portrait painter and later a founder of the New York National Academy of Design. 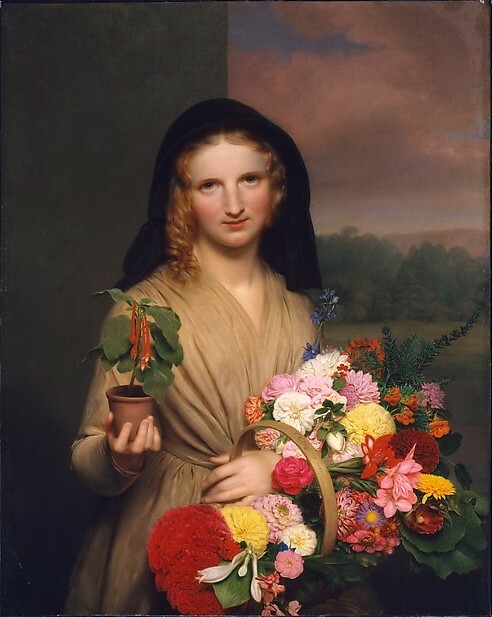 “The Flower Girl” (1846) oil on canvas. 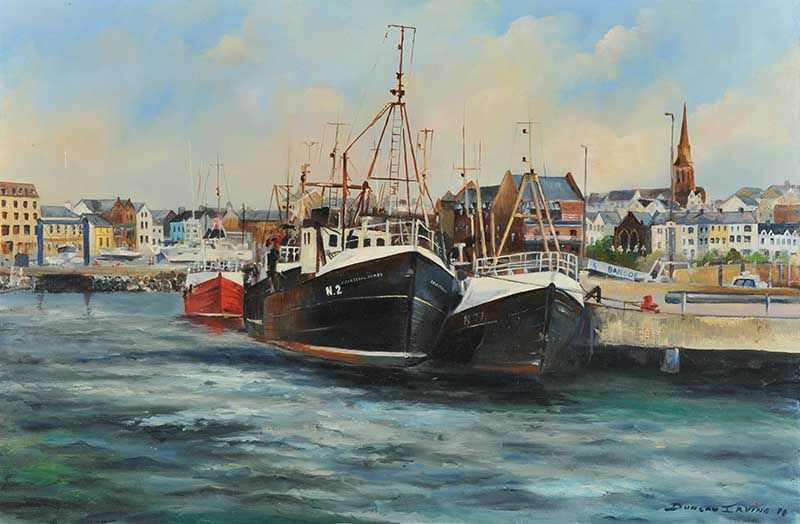 “Bangor Marina” oil on canvas (20″ x 30″), unsold at Ross’s – 5/10/2016. 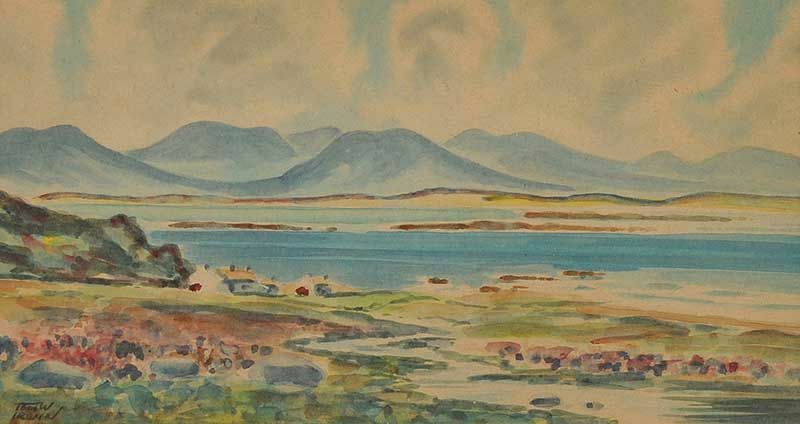 “The Twelve Pins, Connemara” watercolour drawing (6″ x 10″) sold at Ross’s – 2/7/2015 for £10.00. 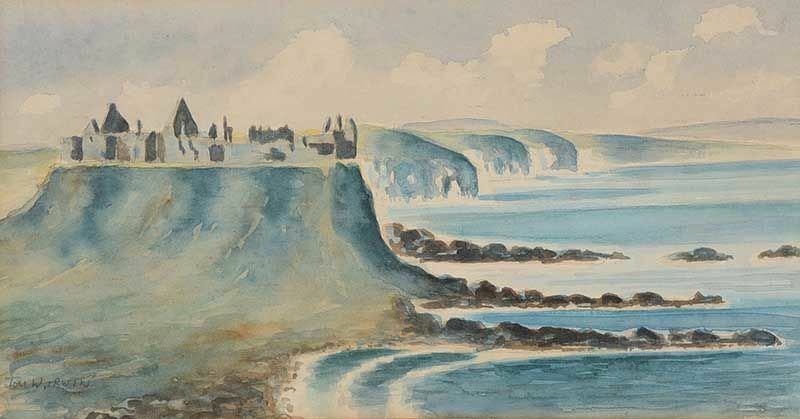 “Dunluce Castle, County Antrim” watercolour drawing (6″ x 11″), sold at Ross’s – 8/8/2018 for £10. The landscape artist and flower painter Hans Iten was born in Zurich and studied painting and drawing at the School of Art, St Gall, Switzerland. He worked for a few years in Paris before taking up a post as a damask designer with McCrum, Watson, and Mercer Ltd. linen manufacturers in Belfast, the city which became his home until his death. 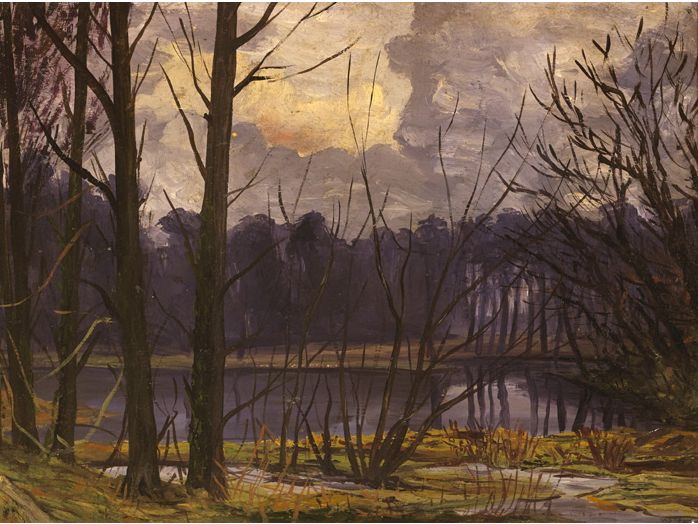 “Trees by Water” oil on board, sold at Whyte’s – 28/9/2015 for €900.00. 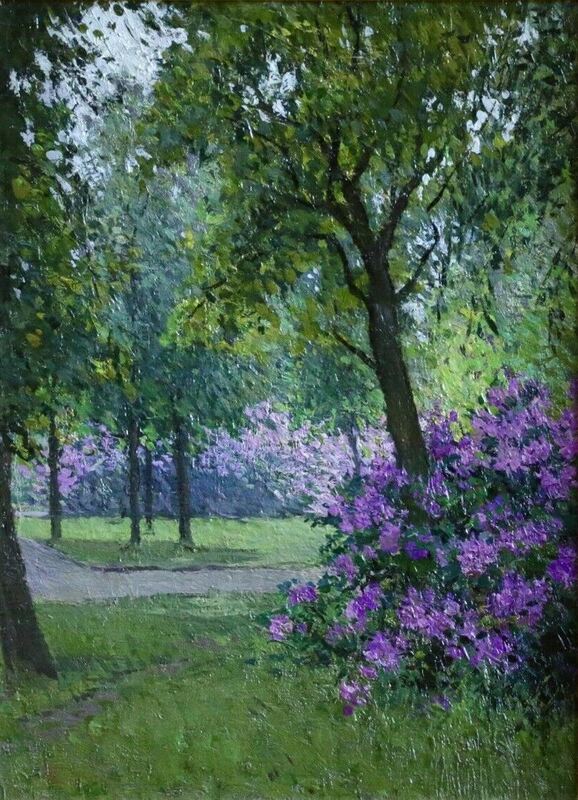 Thought to be Belvoir Park, Belfast according to Whyte’s. 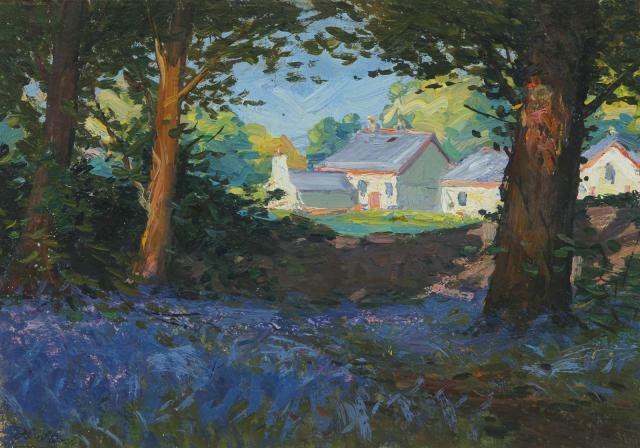 Left to right: “Bluebell Woods” oil on board (6″ x 8″), unsold at Dolan’s (Connemara Sale) – August 2017; and “Flowers in Belvoir Park, Belfast” oil on board (14″ x 10″), sold on eBay – 10/3/2019 for £775.00.